How Does Interracial Match Work? How Much Does Interracial Match Cost? How To Delete Interracial Match Account? The online world is full of dating possibilities. It is easier now to reach any person and turn internet relationship into something real. Interracial Match is one of such dating platforms, which opens new horizons for those who seek interracial experience. Learn more about Interracial Match and join the interracial dating community. Interracial Match is the dating service founded in 2011. It is the most popular dating community, which unites the huge interracial community. 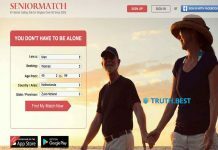 Interracial Match is known for their active members: they discuss the date ideas on the forum and share their opinions and views in the blog. Before starting to searching for members, you will need to create your profile and undergo a verification process. To verify, you have to submit your driver’s license or passport copy. If you feel unsafe about sharing personal documents, you can take a picture of yourself holding sign that says Interracial Match and contains your username below it. When you join the Interracial Match community, you get standard membership. With a standard plan, you can create a profile, add your photos, look for members by country of residence and send an unlimited number of winks. Interracial Match notifies you if someone adds you as a favorite, winks or wants to start a conversation with you. You can use Let’s Meet feature, to get closer to your match. How does Let’s Meet work? Interracial Match usually sends your photo of a potential match. You can either like them (tap heart) or skip. In the Let’s Meet mode you and another member will get notified if each of you like each other’s pictures. But, what if both, you and another member, skip the photos? Actually, nothing happens. You won’t get any notification, so you can proceed to view other users’ profiles. 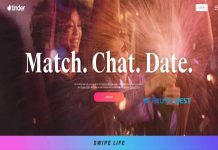 Gold Interracial Match membership covers some over 20 unique features that can help bring dating to the new level for you. Gold plan features advanced search, profile highlights, ability to see a full-size photo of any member and more. To upgrade from standard to gold, you will need to pay $39.99 a month. Go to Settings of your profile and select Membership Settings here. Click Delete account and confirm your decision with your password. Interracial Match includes the members of various racial and ethnic surroundings. You can find Blacks, Asians, Hispanics and Caucasian singles who are ready to start an interracial relationship. 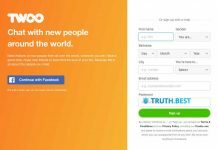 Interracial Match offers basic dating features and serves as a suitable platform for finding the interracial love of your life. Although the membership is a little more expensive (comparing to other dating services prices), you can give Interracial Match a try. 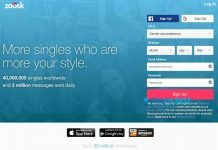 Previous articleHinge Review – Can You Find Something Real With This Dating App?